Golfweek has named 11 Nicklaus Design courses to its 2016 list of the “Best: Modern Courses.” The list includes only courses designed from 1960 to present. Jack Nicklaus got his start in golf course design at Harbour Town Golf Links, a design collaboration with Pete Dye that opened in 1969 and comes in at No. 47 on the list. In the year since, Jack Nicklaus has personally worked on more than 290 of his firm’s 398 golf courses worldwide. Five Nicklaus Design courses are either new to the list or improved their ranking in the biennial list, including Top 100 newcomers or returners Manele (No. 71), Country Club of the Rockies (82), and Valhalla (83). The biggest jumper was Shoal Creek, which has been renovated in recent years by the Golden Bear, and is currently at No. 51–19 spots up from its 2014 ranking. 7. (7) Sebonack Golf Club, Southampton, N.Y.
46. (45) Castle Pines Golf Club, Castle Rock, Colo.
47. (42) Harbour Town Golf Links, Hilton Head Island, S.C.
51. (70) Shoal Creek, Birmingham, Ala.
59. (47) Mayacama Golf Club, Santa Rosa, Calif.
81. (80) Concession Golf Club, Bradenton, Fla.
82. 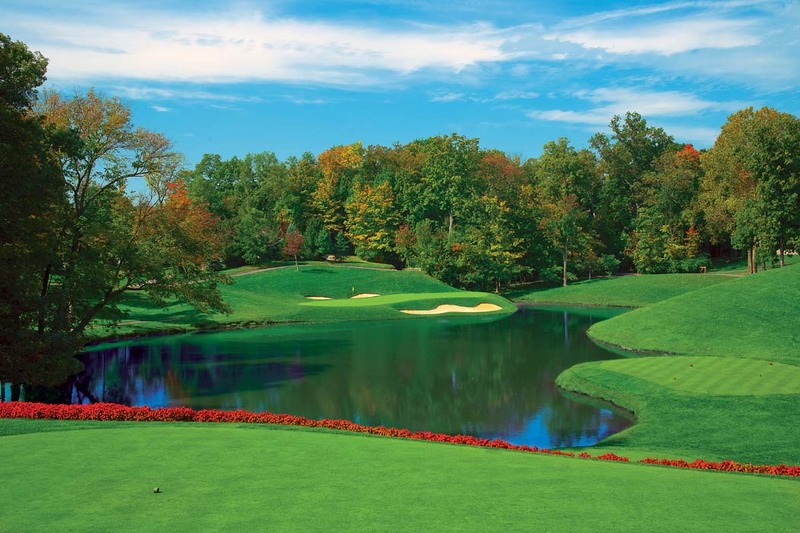 (NR) Country Club of the Rockies, Edwards, Colo.
83 (NR) Valhalla Golf Club, Louisville, Ky.
114. Spring Creek Ranch, Colliersville, Tenn.
126. May River Course at Palmetto Bluff, Bluffton, S.C.
154. Sherwood CC, Thousand Oaks, Calif.
163. Trump Golf Links at Ferry Point, New York, N.Y.
166. The Bear’s Club, Jupiter, Fla.
167. Desert Highlands, Scottsdale, Ariz.
168. Dalhousie Golf Club, Cape Girardeau, Mo. 189. Ritz-Carlton Golf Club at Dove Mountain (Saguaro and Tortolita), Marana, Ariz.